TrackResults 2nd Annual “Send Me on Vacation” Breast Cancer Charity Poker Tournament is coming up fast, and this year’s Pre ARDA WORLD evening event is shaping up to be even bigger and better than the first. The call to “go all in to help cancer survivors win” has rallied the support of industry-leading sponsors and supporters. This year marks the second running of TrackResults’s charity poker tournament servicing cancer survivors and terminal patients nationwide. TrackResults partners with Send Me On Vacation (SMOV), a 501 (c) (3) charity devoted to helping breast cancer patients and their families in order to fund all the costs associated with airfare, food, and incidentals for sending a recovering or terminal cancer patient to an amazing timeshare resort vacation: no hooks, no cost, no catch, no problem; it’s just pure philanthropy. This year’s VIP poker tournament will be held in Orlando at the Marriott’s World Center Resort on April 11th, the evening before the 2015 ARDA World Global timeshare event kicks off. In hopes to attract the early arrivals for ARDA, along with timeshare locals, TrackResults charity poker tournament will deliver all proceeds to SendMeOnVacation.org in order to support the survivor vacation mission. Though the event is still a month away, the support from industry-leading companies and individuals is already above last year’s numbers. The Poker Tournament: How’s Your Poker Face? Approximately 200 drinking, laughing, scowling players are expected to be seated for the battle of the coveted timeshare-industry tournament. Your company reputation is on the line, so bring you’re A game. Ten players will be seated to a table, one CEO or Executive included at each. Bet minimums increase every 15 minutes until the final table of 9 players is filled. Rebuys are permitted, and prizes will be awarded for numerous milestones, such as “Best Hand of the Night”, “Every 4 of a Kind”, “Biggest Bluff” and “SPONSOR BOUNTIES!” A bounty is where you win a prize for knocking out an official, sponsored, target player. Each sponsor will identify one “ringer” (or bull’s-eye player). If you knock out that player, you get BONUS chips, plus the pot, a prize, and bragging rights. The list of prizes include: VIP tickets to Sundance Films Festival, dinner for 4 at Rockos Tacos, 150 MPH laps on the racetrack with exotic race cars, an all-inclusive timeshare vacation with AIR, mini vacations with Air to Vegas, and an IWatch. To see a list of more prizes and all the tourney rules visit: http://trackresults2.wpengine.com/poker. TrackResults’s lofty goal for 2015 is to help fund 52 SendMeOnVacation.org breast-cancer patients on life-changing, memorable getaways to heal their minds, their bodies, and as much as possible, their families from the toll and havoc of breast cancer, one survivor vacation every week for 52 weeks—sound familiar? Thus far, TrackResults and SMOV have rallied the support of 17 sponsors for this year’s event including: Westgate Resorts, Travel To Go, Festiva Resorts, Advantage Travel, Generator Systems, Vida Vacations (Cancun), CondoTravelClub, CasaBlancaExpress, VacaStayConnect & Krisma Resorts, Resort Management Services, Grand Mayan Cabo/Vida Vacations, Global Connections, SaveOnResorts, Breckenridge Grand Vacations, Unlimited Vacation Club, and SFX (San Francisco Exchange). Anyone who has ever experienced cancer for themselves, or has seen a loved one battle with the disease, knows of the toll it takes on individuals and their families. While cancer treatments are certainly financially burdensome, they are all the more emotionally and physically draining. One in eight, that’s the dreaded number, and it’s a staggering number to consider. With a statistical reality such as this, it’s highly likely that if you don’t already know someone affected by the disease, you will soon. TrackResults knows the timeshare industry has hundreds of families that have been personally affected by breast cancer, and this is a huge reason as to why we rally to support the SendMeOnVacation.org’s critical mission. We created this fundraising event for one very important purpose: We realized that while we do not have the resources to help cure cancer, we can do a lot to contribute to healing the affected by the disease, and we can do it by using timeshare-industry patronage. Our industry is unique, and our people move mountains all the time. This fundraiser impacts the survivor right now, today—when the victims need it most. The impact is this: all proceeds from the poker tournament will send a breast cancer patient on a timeshare vacation THIS SAME YEAR, in 2015. These are the immediate action and results we work so hard to achieve. $1,000 Is A Drop In The Bucket. Let’s Fill The Bucket. 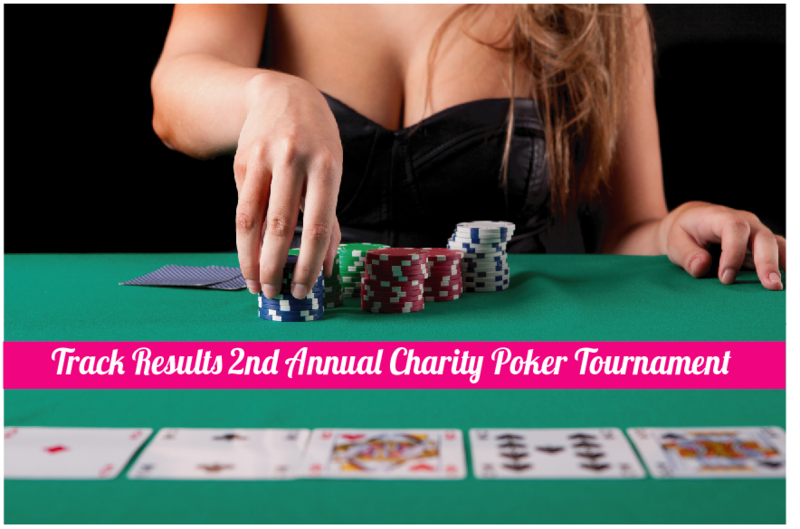 TrackResults’s annual charity poker tournament delivers all proceeds to Send Me On Vacation—providing cancer patients, a stress free opportunity to create an amazing, lasting memory to offset the pains of chemotherapy, radiation treatment, and grief. The average survivor family receives about $1,000 – $1,200 in paid travel expenses from these fundraising events, not including all the free donated resort-developer inventory. We are honored to help SMOV change someone’s life today. So, please, join the cause with us, because even if you can’t attend, you can still help make a difference.